Have you heard about VoIP (Voice over Internet Protocol) phone systems from a friend or colleague? Maybe you have seen one in a business you frequent or an advertisement for them. Are you wondering what all the hype is about and how they work and what they are? Well let me assure you I can de-mystify what a VoIP phone system is and how it can help your small or medium sized business communications needs and bring them into the 21st century. 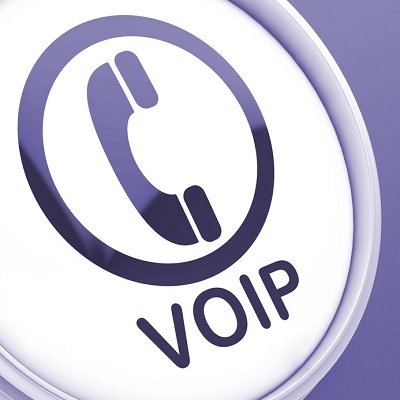 As its name implies, a VoIP system uses the Internet instead of the phone company’s lines to send voice communications from point to point – in fact from your phone to the phone of whomever you are calling! How exactly does this work? Well there are two similar types of VoIP systems but both of them still use the Internet to carry the calls. One type is called a hosted VoIP system – and the phones in your business use an Internet-based device (switch) to complete your call. The other type still uses the Internet but the device that sends your call over the Internet is in your business/building. Each one has its advantages over the other depending on the type of business you have and how many users are involved. Either way you are rid of old, costly, out of date telephone company equipment in your place of business. You may also no longer have to pay long distance fees and monthly line fees. If you are wondering how this can possibly work here is the simple explanation. When you go to a website like www.dstech.net your computer is simply opening a file, not unlike opening a file on your computer, except you are opening it in your web browser – Google Chrome, Microsoft Edge, etc. – and the file is on a special computer called a web server. As its name implies it serves webpages! When you click on links on the webpage other files are opened up – sent over the Internet to your computer. The VoIP phone system works in much the same way, but instead of files going between computer and server it is voice traffic between phones. If you wonder about the quality just think of streaming music on line, it’s no different. The phones look and work pretty much the same way as their existing systems and include intercom, voicemail, paging, etc. but the VoIP systems can also include added functions such as instant messaging, an address book, faxing and much more. DS Tech is a full-service technology provider and has been installing VoIP phone systems for over 10 years. Give us a call today to schedule a free phone assessment and see what we can do to help bring your phone system up-to-date.